Luca Fendi and Giovanni Carpitella produced a breath taking performance to take their first win together in Class 1 at the team’s home Grand Prix in Terracina, with Aquasport’s Daniel Cramphorn and Nico Huybens producing an totally dominant performance in win in V1. Continue testing the Offshore World Championship, waiting for the race scheduled for 15:30. 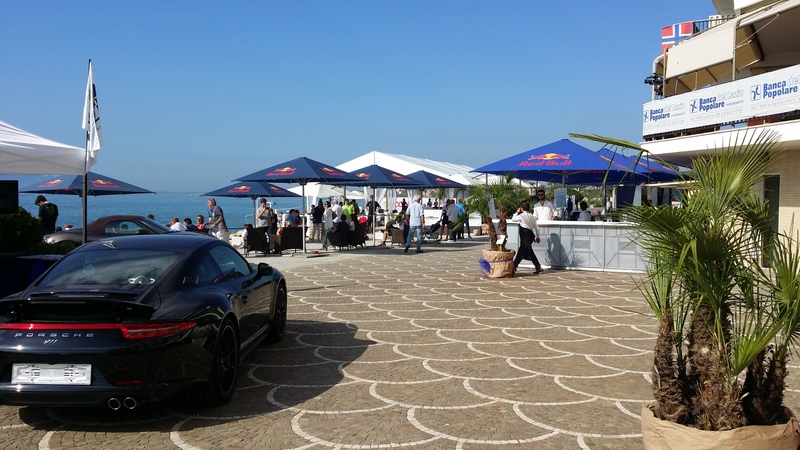 Here near the finish line, immersed in the beautiful scenery of the Approdo Grand Hotel, spectators enjoy the show and the beautiful sunny day. Visit us: you will find an excellent drink and a prime location just a few meters from the finish of the race! Victory start race 2 of the Grand Prix of Italy from pole position, posting the fastest time in this morning’s one hour qualifying session with Aquasport leading the line in V1. Yesterday’s race winners and newly crowned European Champions Arif Al Zaffain and Nadir Bin Hendi set the best time of the session, 2:53.75s on their second of four flying laps and head into race 2 looking to make it four wins out four, extend their overall points lead and take the teams milestone 100th chequered flag. LFF10’s Luca Fendi and Giovanni Carpitella held provisional pole momentarily and narrowed the gap to Victory in second qualifying too under two seconds, with Gary Ballough and John Tomlinson third quickest for Team Abu Dhabi. Just six one hundredths of a second separated the top three in V1, Daniel Cramphorn and Nico Huybens snatching the pole on their first flying lap with a time of 3:12.80s. Chaudron’s Aaron Ciantar and Dominque Martini were back out on the water after fixing the problems that side-lined them yesterday, going second quickest with 3.12.81s, Silverline’s Ian Blacker and Drew Langdon third with 3:12.86s. 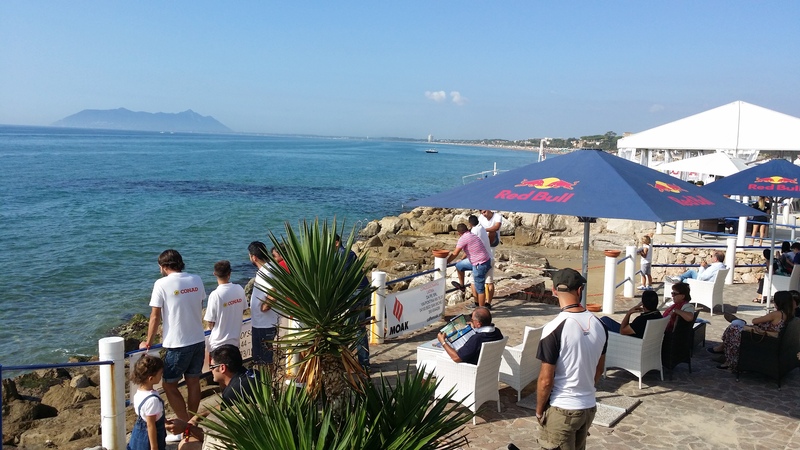 It is without doubt a global event that Terracina is preparing to host between 17 and 19 October. 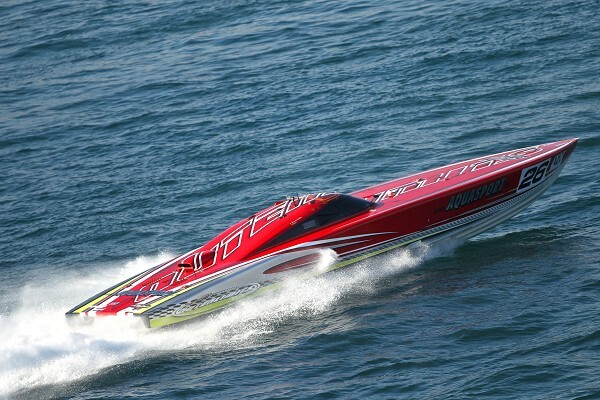 In fact, to be held in the shadow of the Temple of Jupiter, the second stage of the sporting event dedicated to Formula 1 powerboat, we are talking about the World Championship Offshore. Will be staged so the second round of the World Class -1, the first since the debut in Spain. Many innovations introduced with the 2014 edition of the Class 1 Offshore, spearhead of the UIM (Union International Powerboating) is supported for the first time since the division V1 intended for monohulls, focused on design and technology. There will thus a total of 14 boats from 10 different countries. 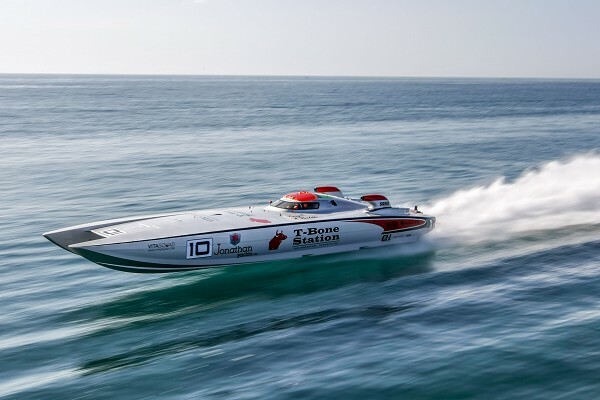 The races of the UIM World Offshore Class 1 and V1 will be run in conjunction with the European championship in Class 3C to give the audience an unprecedented show. 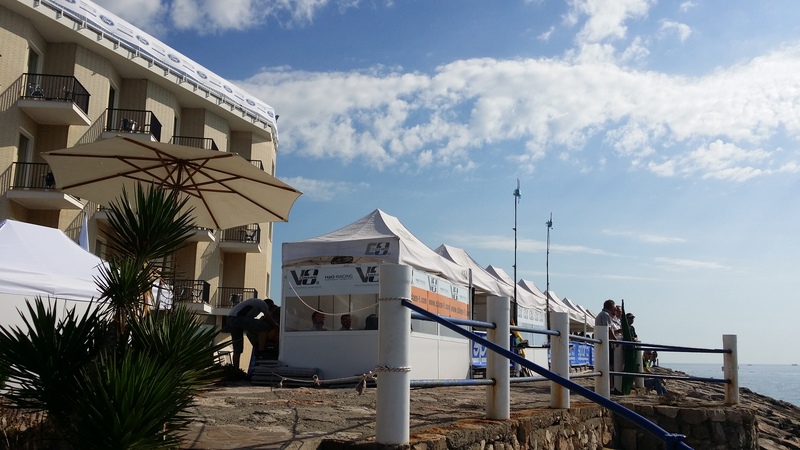 ApprodoGrand Hotel is definitely the best choice to stay and to enjoy the Class 1 Powerboat World Championship from a privileged position. Our facility has in fact two sides facing the sea and the goal of all competitions, the area of ​​awards as well as the box of all the boats are just a few meters from the hotel. Come and enjoy from a privileged position this magnificent event! At the event the program is very dense and full of events. It starts Thursday, Oct. 16 with a parade of boats to the city center, Friday, October 17 will begin with the free practice of the Class 1 and V1 and race 1 3C European Championship, Saturday 18 and Sunday, October 19 will be held races class C -1 and V-1 and the award ceremony for awarding the winning team of 'Italian Grand Prix 2014 to accompany the two global C1 and V1, the European Championship 3C: The program provides for the first race of 45 miles Friday, October 17 and grand finale, Sunday, Oct. 19, with the competition by 75 miles. To frame the many evening events that will project Terracina in full worldliness of a "Sports Village".